This is an immensely sad news for jailbreak users as Cydia – the App Store for jailbroken iPhone/iPad – has officially shut down. 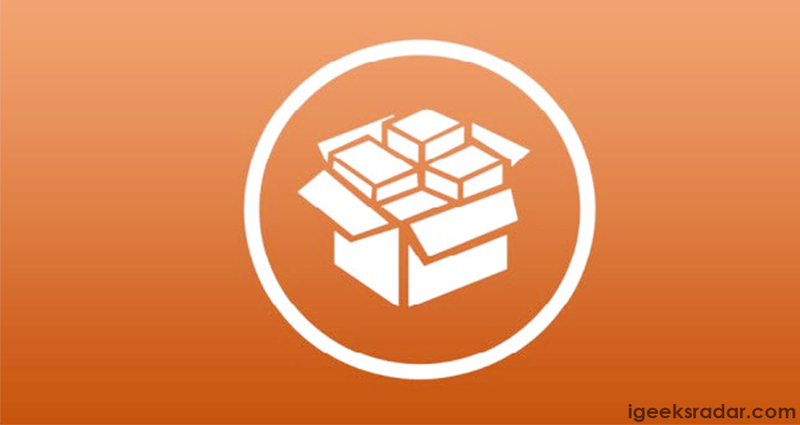 With this update, the backbone that handles purchases on Cydia is gone. Lately, Apple has actively protested against jailbreaking and announced a slew of measures that it will implement in future iOS versions to prevent the possibility of jailbreak completely. This has forced, Jay Saurik, the developer of Cydia Store, to shut the store down. 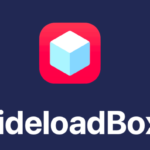 Cydia Explorer- Repo Browser Application for iOS 12 Launched – Click here for more information. Saurik has stated that he was planning to shut the store down near the end of 2018 since long due to financial losses. Saurik has clearly stated that the platform was making little to no money and all hosting bills are being paid from his pocket. 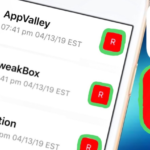 However, certain members of the jailbreak community have attributed the step to the recent bug in the store which puts PayPal credentials of users at the risk of exposure. Cydia Store Shut Down – Are PayPal Credentials Really at Risk on Cydia Store? Saurik has commented on Reddit thread of Andrew Wiik -who has urged jailbroken users to remove their saved PayPal information from their Cydia account- stating that there is no such data leak on Cydia Store unless you are logged in and using Cydia while also browsing a repository with untrusted content. So, there is no issue of PayPal credentials at the risk of exposure as users would only be ever logged in to Cydia in order to actively buy something or download a paid purchase and no one is buying anything anymore on the Cydia Store. Do check: Jailbreak iOS 12.1.1/12.1: WebKit RegEx Exploit Remote Safari Jailbreak. Speaking in particular, according to Saurik, this vulnerability is not a data leak at all. It is only the ability to force a purchase by the user who is currently logged on to Cydia. Hence, there should be no concern of any kind of leakage of information stored in the Cydia account of jailbroken users. In short, all your data belongs to you and all your data is safe. The Cydia Store was meant to shut down anyway as it is providing no profit for Saurik. Saurik will make a more formal announcement of shutting down the service soon. Later, Andrew Wiik also tweeted that no user data was ever at risk of being leaked on the Cydia Store. Does Shutting Down of Cydia Store Means End of Jailbreak? Please note that Saurik has not shut down complete Cydia. He has only shut down the payment system. Hence, the Cydia Installer will continue to work as usual. So, you can still download and utilize your favorite Cydia Tweaks. Saurik is continuing to work on Cydia Installer and Substrate. The upcoming Substrate update is most likely to come along with the next iteration of UnC0ver Jailbreak which has recently released a version 2.0.0 with support for Cydia substrate. 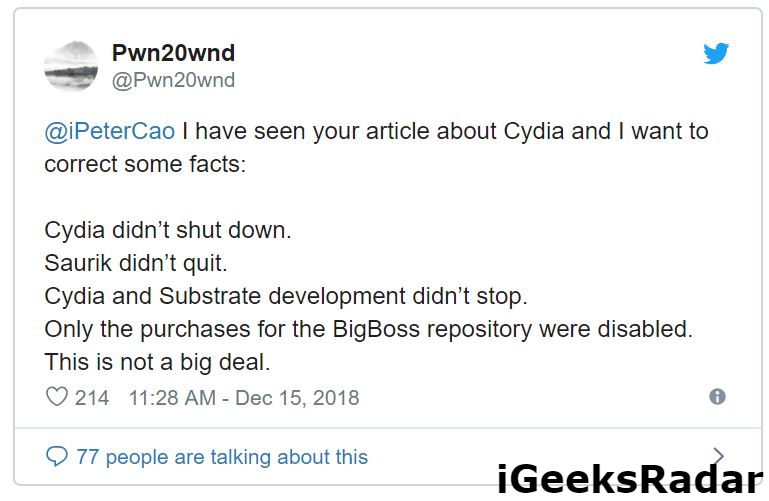 The following tweet by Pwn20wnd will make things more clear. 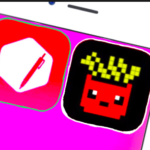 What is the future for the jailbreak community? A little fraction of the users are affected by the closure of the Cydia Store. If you have a jailbroken iPhone you can no longer buy tweaks on the Cydia Store. However, if you have already paid for a jailbroken tweak, you can go ahead and download the same. Please note that the development of Cydia and Substrate is not halted. So, this doesn’t mean that the era of jailbreak has ended. Moreover, the team of Electra Jailbreak is actively working on Sileo, which is considered to be a worthy Cydia alternative. Stay tuned with us for more updates on Cydia and the future of jailbreak. 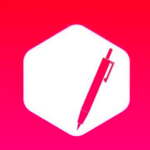 [How-To] Download iOSEmus for iOS [iPhone/iPad] Without Jailbreak.